We’ve got smart customers. They’re the kind of folks who don’t fall for false advertising tactics, gimmick-filled “special” pricing or offers that are simply too good to be true (because they’re not). All service companies are not created equal, and we’re going to expose some of the most widely-used tactics in the industry so that you’re prepared to catch these gimmicks and stop them right in their tracks if you find yourself in need of an air conditioning repair or replacement this summer. In these parts, an experienced service technician costs $35 or more an hour to employ. Throw in overhead and it’s obvious that the $49 service call isn’t enough to cover the cost of sending a qualified tech to your home. On the other hand, $49 might pay for a recently paroled convict that got his skills in work rehab. Whether you get the convict or just one that hasn’t been caught yet, he WILL be doing something fairly expensive to your air conditioner whether you need it or not. There are bills to be paid. $49 service call doesn’t cover them. Can you get an honest diagnosis on the cheap? Maybe. However, without a strong referral from a trusted source, you’re playing a numbers game. It’s a cliché that rings true: There’s no such thing as a free lunch. The total bill from companies that offer a free service call with repair is often higher than from companies that play it straight. Behavior is thematic: if a contractor is willing to fib to get you to call (like saying he wants nothing for the time spent coming to your home and diagnosing the problem), then he’s pretty likely to pad the bill after you’ve called. For the “Free Service Call” contractor, padding the bill is inevitable because of scenarios like this: What if the problem with your furnace is just a tripped rest button caused by a windy day? We’ve serviced furnaces with the exact problem many times over the years. Because our service call fee is $79, I’m content with the $79. But if the contractor says the service call is free with repair, he’ll have to charge $79 for pushing the button to make the same money. You can then legitimately complain that $79 is way too much for pushing a button. After all, the trip is supposed to be free with repair. Free service call contractors avoid those conflicts easily. All they have to do is condemn some expensive part; install a new one; push the button while you’re not looking, and you’re none the wiser. 2. You might actually get someone to show up at your home at some absurd hour for that amazing price of $49, but it doesn’t really matter if the boss is paying his man over time. He’s charging more than enough to cover it. If you’re charging $250 an hour plus a 500 percent markup on parts, who cares about the after-hours trip fee? Don’t worry, you aren’t the only one with your jaw on the floor. But now you can take a deep breath and know that you’re one step closer now to catching a gimmick than you were last summer. And don’t worry, we’ve got more where that’s coming from! We’re turning up the heat and exposing the stunts of other air conditioning and heating companies in the Dallas-Fort Worth area so that you can be prepared when it’s time to make that service call. 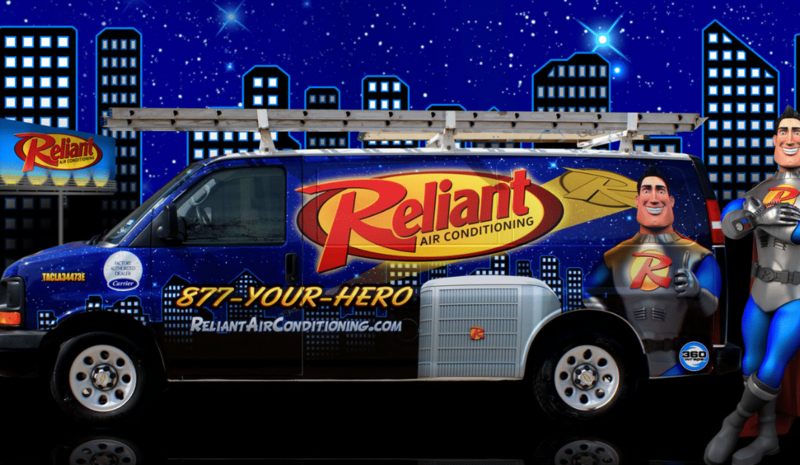 At Reliant Air Conditioning, we truly believe that our company is the best to service or replace your heating or air conditioning system. If you find yourself in need of an AC repair or replacement this summer, contact us. We’re the company for AC repair Dallas chooses time and time again!